Triumphant compilations BIT.TRIP SAGA and BIT.TRIP COMPLETE are on the way to Europe in 2012, courtesy of Rising Star Games. The publisher — ignoring its "Home of Japanese Games" slogan for just a little while — has confirmed it'll be releasing both compilations across Europe in the first three months of next year. Excellent news for European fans of excellent games. 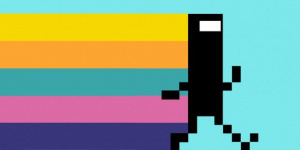 Thursday 3rd November, 2011: Acclaimed video games publisher Rising Star Games has today announced the signing of two new Gaijin Games titles, BIT.TRIP COMPLETE and BIT.TRIP SAGA. Both COMPLETE and SAGA offer an amazing collection of six of the very best celebrated indie BIT.TRIP games, and will be available to buy in Q1, 2012, on platforms Nintendo Wii and 3DS. 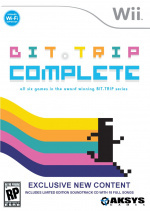 BIT.TRIP COMPLETE and BIT.TRIP SAGA mark the first time a collection of these highly-regarded titles have appeared in compilations, and the first time BIT.TRIP games will appear at retail. Players will be able to enjoy the incredible adventure of the rhythmic galaxies and ride along the epic journey with CommanderVideo as he completes his mission and returns home. Better yet, it’ll look even more stunning in 3D on Nintendo 3DS! "Everyone at Gaijin Games is very excited to have BIT.TRIP SAGA & BIT.TRIP COMPLETE join Rising Star Games' excellent and varied library of games”, commended Alex Neuse, co-founder, Gaijin Games. “From a publisher who literally has something to offer for every type of gamer, we couldn't be happier with this perfect fit of a European publishing partner." Both titles will be released in Q1, 2012. 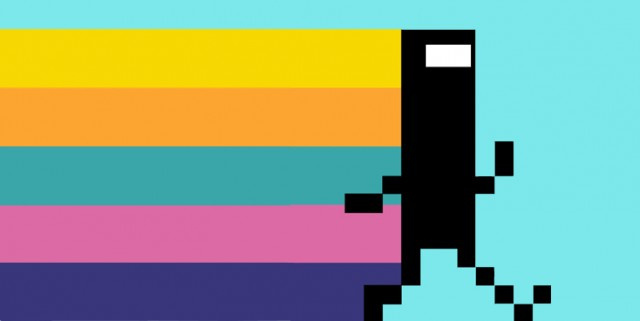 BIT.TRIP COMPLETE will be available on the Nintendo Wii and BIT.TRIP SAGA on the Nintendo 3DS. Hopefully it'll come out in Australia. @James Don't you mean Bit . Trip? Excellent! I've been looking forward to confirmation of a PAL release. I'll be grabbing Complete as soon as I can! Great indeed. Especially that they're including the soundtrack CD with COMPLETE. Yes, yes, yes ! Really can't wait . This is great news, I'll pick up COMPLETE at some point. Anyone trying to decide between Saga and Complete need to know that the Saga version of Runner has lots of slow down. It isn't a deal breaker, but you should really make an informed decision. Finally! I was starting to get worried. My choice is COMPLETE (heh, I don't have a 3DS yet, so it's kind of obvious. However, I would've chosen COMPLETE in any case). i feel kinda compelled to buy this, even though i've downloaded them all off WiiWare already. Excellent news, very much looking forward to pre-ordering this! Shame I bought the first few albums in iTunes, but at least I'll have the CD for the rest. Next year? Oh, I am okay with that! I have enough other games to attend to! Rising Star are one of the best publishers in Europe, great news!